Scott Pruitt resigns from the EPA; a new report finds that digital platforms are not fully complying with the EU’s new privacy rules; Google, meanwhile, has a new privacy scandal; a month after its acquisition of Time Warner was approved, AT&T is already raising prices for its streaming TV customers; and former Treasury Secretary Timothy Geithner’s new career draws criticism. Following months of controversies, scandals and an ever-growing mountain of ethics investigations, Scott Pruitt has resigned as head of the Environmental Protection Agency. Pruitt’s resignations came days after he was revealed to have kept secret calendars and schedules to hide his meetings with industry representatives and hours after the New York Times reported that one of his senior schedulers was fired after she voiced alarm about his aides’ habit of deleting sensitive meetings from his public schedule. The Times’ Lisa Friedman and OpenSecrets’ Nihal Krishan recap Pruitt’s scandal-ridden term, while The Intercept’s Sharon Lerner recounts Pruitt’s many ethics violations and examines the record of his successor: Andrew Wheeler, the current deputy administrator of the EPA and a former coal lobbyist with much more political experience and deeper ties to industry than Pruitt. Also in the Times, Norman Eisen and Noah Bookbinder explain how Pruitt became the public face of Washington corruption, arguing that Pruitt “has turned the agency into an ethics and regulatory Superfund site that will take years to clean up,” an argument put forth by the Times’ editorial board as well. 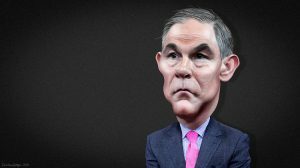 Slate’s April Glaser, meanwhile, commends the whistleblowers whose bravery in revealing Pruitt’s misdeeds to the world ultimately brought him down. Techlash news: in the months leading up to the European Union’s General Data Protection Regulation (GDPR), tech giants have made a big show of complying with the new privacy regulations. However, a new study by the European Consumer Organisation (BEUC), a consumer advocacy group, finds that Apple, Google, Facebook and Amazon are all falling short of GDPR’s basic requirements: giving users enough information about why their data is being collected and how it is being used. Business Insider reports. Google found itself at the center of a new privacy scandal this week after the Wall Street Journal reported that the company has been allowing third-party app developers to read and analyze the contents of millions of Gmail users’ emails. Google has tried to calm the controversy with a blog post that offers tips for Gmail users on how to protect their privacy. In more than 700 pages delivered to the House’s Energy and Commerce Committee, Facebook revealed new details about its data sharing with 52 hardware and software makers, including some based in China. “Some of the partnerships continued into this year, and some continue to this day,” reports the Washington Post. The European Parliament has rejected the EU’s controversial Copyright Directive following months of intense lobbying by publishers like Germany’s Axel Springer and tech platforms like Google and Facebook for and against the bill, respectively. The bill, which sought to give publishers far-reaching powers to control how their content would be used online, inspired widespread resistance from both tech platforms and activists, among them World Wide Web inventor Tim Berners-Lee, who argued that the bill would turn the Internet “into a tool for the automated surveillance and control of its users.” Supporters of the bill, however, argued that it was necessary to give the creators of content a way to protect themselves against tech giants like Google. “The real issue is Google’s market power. The content industry feels it can’t negotiate on a level playing field,” Cambridge professor Lionel Bently told the New York Times. In a wide-ranging interview with Vanity Fair, Berners-Lee shared his frustrations with the surveillance-based business model of digital platforms (“I was devastated,” he says about recent revelations regarding the Web’s destructive impact) and his new plan to fix the Internet, which consists of “re-decentralizing” the Web in order to give individuals—instead of corporations—control of their own data. A Washington Post exposé by Peter Whoriskey focuses on how private equity firms now make enormous profits by offering predatory loans to cash-strapped low-income Americans. One such company, Mariner Finance, is “owned and managed by a $11.2 billion private equity fund controlled by Warburg Pincus.” The president of Warburg Pincus is no other than former Treasury Secretary Timothy Geithner, who as treasury secretary used to rail against the predatory lenders. Merger mania: the first half of 2018 saw a record number of mergers worth more than $2.5 trillion, reports the New York Times. Out of this year’s 10 biggest deals, according to the report, four were made at least partly in response to tech firms’ growing dominance. One of the year’s biggest mergers is AT&T’s $86 billion acquisition of Time Warner, which received court approval last month after a failed attempt by the Department of Justice to block it. Less than a month has passed since Judge Richard Leon approved the deal with no conditions, and AT&T is already raising prices for its streaming TV customers—the very thing it promised not to do. Motherboard reports. A new report by the OECD presents some grim statistics on the current state of American workers: American workers are more likely to be poor, compared to their counterparts in most OECD countries; due to an essentially non-existent collective bargaining system, they are more likely to get fired; and when that happens, they receive very little government support. Only Spain and Greece, in fact, have worse low-income rates, and only Israel suffers worse income inequality. New York’s Eric Levitz and the Washington Post’s Andrew Van Dam report. Ahead of the 2018 midterms, the Center for Public Integrity examines the state of the Federal Election Commission and finds that it has been five years since the agency in charge of enforcing the country’s campaign finance laws had a permanent general counsel. The last person to hold the job, Tony Herman, is now a senior counsel at the DC law firm Covington & Burling, CPI reports. With signs showing Democrats may be able to flip the House in November, companies and trade groups are attempting to hire as many lobbyists with ties to top Congressional Democrats, reports Politico. In trade war news: China accuses the US of starting the “largest trade war in economic history” and imposes $34 billion in retaliatory tariffs and Russia announces new tariffs on US imports. The minutes of the Federal Reserve’s June meeting show that some businesses indicated to the Fed that they had already “scaled back or postponed” plans for capital spending due to “uncertainty over trade policy,” reports the Financial Times. The battle for control of the Consumer Financial Protection Bureau has officially ended, with deputy director Leandra English dropping her legal challenge to acting head Mick Mulvaney. In the latest episode of the Capitalisn’t podcast, “The Reluctant Central Banker,” Luigi Zingales and Kate Waldock interview Sir Paul Tucker, a former official at the Bank of England during the 2008 financial crisis, about central banking and his new book Unelected Power. Also, you can read ProMarket’s interview with Tucker here. « Is Lionizing CEOs Dangerous for Society?